Searching for a hand specialist in the Reno, Nevada area doesn’t have to be complicated. If you are suffering from a hand condition like arthritis of the hands, carpal tunnel, trigger finger or other conditions that cause pain in the wrist and hand, you deserve to work with a respected hand specialist who can help you find the treatment you need to alleviate your pain. At Tahoe Fracture and Orthopedic Medical Clinic, we have a team of orthopedic doctors who can evaluate your condition and create a personalized treatment plan to help you regain your quality of life. Anyone who has lived with chronic hand pain understands the toil it can take on your day-to-day life. Think about it — you perform almost every daily activity with your hands. If you are in constant pain and discomfort, you need to see a hand specialist before your symptoms worsen and prevent you from doing the hobbies you enjoy, like golfing or gardening. In some cases, these symptoms can cause you to miss work because requirements like typing have become too painful. In some cases, you may be recommended by your hand specialist to undergo surgery. 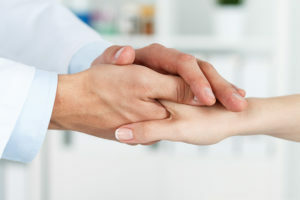 At Tahoe Fracture and Orthopedic Medical Clinic, we offer a number of different types of hand surgery designed to help relieve the pain and restore the full function of the hand. Contact us at our orthopedic clinic in Reno, NV for more information about our hand treatments and to schedule an appointment with a hand specialist.